Will My Package Arrive By Christmas? With Christmas drawing near, we have a lot of customers who want to know if their package will arrive by Christmas. Our staff at Infinite Discs is doing all we can to ensure that your package will arrive by December 25th. All orders in by 4:30 PM MST, are shipped out the same day. With that said, we have to rely on the different parcel carriers for the actual delivery. Here are some guidelines for the last days you will want to order different items, if you want to make sure* they arrive before Christmas. Safe Order Deadline to arrive by Christmas: Monday, December 17th. For small packages (2 or less discs), towels, small accessories, mini’s, physical gift cards, etc. weighing less than 16oz, the USPS guideline is 2-5 days. Assuming the worst and a 5 day delivery time, unless you make a Priority mail upgrade you will want to make sure your order is in by 4:30 on Monday, December 17th. 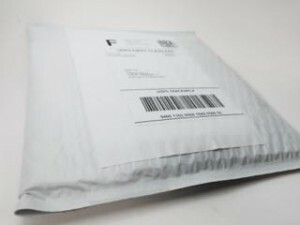 Note, if you pay extra for the “Priority Upgrade” to ship a small package Priority Mail, your likely safe to receive in time date is Wednesday, December 19th. If your order is made beyond the 19th, and you NEED it by Christmas, contact support@infinitediscs.com and we can give you a quote of what the cost will be for expedited shipping. 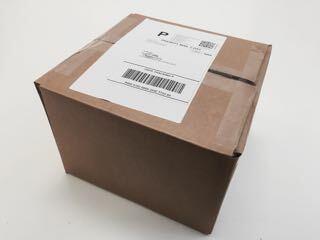 For Medium sized packages 3-11 discs and economy bags, we usually ship USPS priority mail within the United States. Priority Mail delivery time is typically 2-3 days. Orders in by 4:30 on Wednesday, December 21st, should arrive by Christmas. However, to be on the safe side, in case of any USPS handling errors or delays, you should plan to have these orders in by Tuesday, December 19th. If your order is made after December 19th, and you NEED it by Christmas, contact support@infinitediscs.com and we can give you a quote of what the cost will be for express delivery. Large packages including baskets, large backpacks, and 11+ discs are typically shipped UPS ground, which can take up to a week to arrive depending on your location and proximity to Utah. It’s also important to know that for many of these products are delivered directly from the manufacturer, who may not process your order as quickly as we do in house. If you want one of these items to arrive by Christmas, you’ll likely be fine if your order is in by December 17th, but to be safe, you’ll want it in by 2:00 on Friday the 14th. Unless you want to specifically arrange to pay hundreds extra for priority upgrades for large Packages, we cannot do Priority Upgrades for our fixed $3 shipping fee. For large packages, that only guarantees priority processing. If you want something internationally, it might already be too late to get to you by Christmas. For international shipping we use DHL which usually arrives to Canada and Europe within one week, but. So if you order before December 14th there is a good chance you will receive it by Christmas, but there is no guarantee. If you’re too late for a disc golf Christmas Gift, There is always next year right? Or, consider a Happy New Year gift… But do you really need a reason to give somebody a great disc golf gift? The safest bet (and arguably the best Christmas gift for a disc golfer) is an E-Gift card. An email gift card code will be sent to you (or directly to the recipient) within seconds. The other nice thing about an electronic gift card is that you can personalize it any way you want. Print it up and put it in a card or a picture with an original poem you wrote, or a picture of yourself. Who doesn’t like a personalized gift? Or to make things super simple, and just email the code directly to the recipient. What if I waited until the week of Christmas to order my discs? Overnight and rushed 2 day shipping options are available, but these can get pricey and there are no promises on delivery time. This is not a safe option, however, if you would like to give it a try, email or call us before you make the order. The shipping price on these are determined case by case. Again, at this point, the best ordering option may be a gift card. 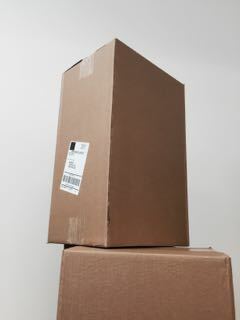 *In rare instances (less than 1% of all orders), packages get misplaced or lost by the individual carriers and do not arrive by the estimated time frame. We cannot guarantee that any package will actually arrive by Christmas. 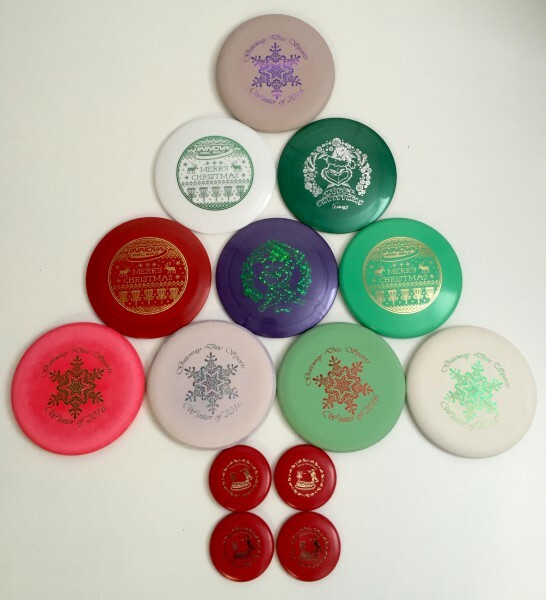 With Christmas just a couple weeks away, it’s a great time to think about the gifts for the disc golfer in your life. Whether it’s your sweet heart, a buddy, the guy who runs your club, or a blogger for Infinite Discs 🙂 , sometimes it’s tough to decide on the best gift to give to that special person. After all, disc golfers like specific discs and getting the right model, plastic, and weight for them can be a tough choice. Fear not! We’ve compiled a list of gifts that most disc golfers would enjoy and appreciate. To the casual observer, the only thing a person would need to play disc golf is a few discs. However, to a disc golfer there are tons of additional items that make the game a little better. – For example, how about a copy of the inFlight guide? If you’ve ever wondered the flight numbers for a certain disc, and how it compares to your favorite disc, the inFlight guide is for you. A handy reference full of universal flight ratings and flight charts, the guide will help you know the flight numbers for nearly every disc available. – Do you know a disc golfer who plays in the rain or the sweltering heat? Chances are, they could use a Dirt Bag. The Dirt Bag helps disc golfer’s deal with moisture, humidity, and sweaty hands to achieve a better grip on their disc. – Everybody needs a calendar. But, instead of pictures of puppies, cars, or beautiful models, why not get your disc golfer a disc golf calendar?! Featuring scenic shots from courses around the globe, the disc golf calendar is something every golfer would love. – Disc golfers of any skill level would benefit from the advice given in the book, Zen and the Art of Disc Golf. This book gives practical advice for building a foundation for becoming a better disc golfer. It is a book BY a disc golfer, FOR disc golfers. Bags: Okay, certainly every serious disc golfer already has a bag. But what about those days when they just want to carry a couple discs? Having a smaller bag around for those ‘putt and approach’ or tester rounds will make it easier to lug just a few discs around the course, along with some water or a snack. Is the special person in your life cramming all of their discs in an over-stuffed small bag? It might be a good time for them to move up to a backpack style bag. Plus, it gives them an excuse to get more discs to fill the new bag! One especially hot disc golf bag is the new Innova Heropack. Stools (seats): If your disc golfer likes tournaments or plays in a league, chances are they would like to take a break while waiting at a tee box. A stool or seat is the perfect thing to allow golfers to take a break from the action and save precious energy for the game. Misc: There are a variety of items that every disc golfer should have. A retriever, for example, has saved many a golfer from wading out into a pond or river to retrieve an errant disc. A good towel is invaluable for removing moisture due to rain, dew, or bodies of water. They also come in handy for cleaning mud from discs or for drying hands. If you really want to score points with the disc golfer in your life, give them a portable basket for Christmas! Every golfer wants to improve their putting, and a portable basket allows them to practice at home. Discs: For the more adventurous gift giver, new release discs are a fun gift to give. Who doesn’t love to try the newest plastic or rubber to hit stores? Christmas Edition Discs: For the holiday’s you can even purchase special stamped Christmas discs including the: Legacy Rampage, Hunter, Innova Leopard3, Thunderbird, Destroyer, Spider and MVP AMP (available December 14th). For an especially inexpensive gift, Innova also has the OrnaMini. A tiny disc that serves as both a Christmas Tree Ornament and a mini-marker. Apparel: Who doesn’t love sporting a shirt from Infinite Discs? Choose from comfortable cotton or moisture wicking shirts in a variety of colors, all with the Infinite Discs name and logo. Gift Cards: Okay, let’s face it, some of us either don’t do well selecting gifts for others, or, we are searching for a gift for a very picky person. The safe bet is a simply a gift card from Infinite Discs. It’s the sure-fire way to know that the person will love what they get!